Nature's Logic brand cat food is manufactured by the Nature's Logic pet food company. The company is based out of Lincoln, Nebraska. Currently, Nature's Logic is the only pet food company in the world to manufacture all of their pet food formulas without the use of chemically synthesized vitamins, synthesized minerals or synthesized animo acids. This is a subject that is still under debate by many pet food companies, since most companies add additional vitamins and minerals to their pet food formulas. The philosophy behind Nature's Logic brand cat food is that a pet food formula should contain adequate supplies of digestible, natural nutrients derived solely from the ingredients contained in the formula. Nature's Logic brand cat food does not have Niacin listed on any of their ingredient labels, even though Niacin has been proven to be necessary in the diet of adult cats. The philosophy behind this is that Nature's Logic contains an adequate supply of Niacin from the natural ingredients to supplement good health in cats. All of Nature's Logic dry cat food formulas are free from corn, wheat, soy, rice or potato ingredients. The "natural flavoring" ingredient contained in most of Nature's Logic cat food formulas is currently in the process of being removed, as the company has ceased to use the flavoring formula indicated by the ingredient. Instead, Nature's Logic uses a blend of several dried liver powders, plasma protein, enzymes and probiotics as a flavor coating for their dry cat food formulas. Nature's Logic dry cat food formulas are currently available in a 3.3lb bag and a 7.7lb bag. Nature's Logic Feline Dry Kibble Chicken formula is designed for all adult cats. The first five ingredients are Chicken Meal, Millet, Chicken Fat, Montmorillonite (a special clay that is speculated to aid digestion and promote healthy weight) and Brewer's Yeast. The Guaranteed Analysis of this formula contains 39% Protein and 18.1% Fat. Nature's Logic Feline Dry Kibble Rabbit formula is designed for all adult cats. The first five ingredients are Rabbit Meal, Millet, Chicken Meal, Chicken Fat and Montmorillonite. The Guaranteed Analysis of this formula contains 39% Protein and 18.1% Fat. 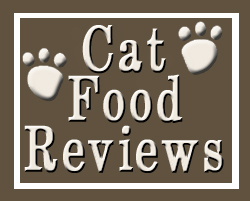 Nature's Logic Feline Dry Kibble Duck & Salmon formula is designed for all adult cats. The first five ingredients are Duck Meal, Millet, Chicken Meal, Chicken Fat and Salmon Meal. The Guaranteed Analysis of this formula contains 39% Protein and 18.1% Fat. Though reviewed extremely positively by consumers in terms of nutrition, the primary complaint from cat owners was that their cat did not find Nature's Logic brand cat food appetizing. This was not true in all cases, but represented one of the two negative aspects stated by customers. The other negative aspect was that it caused some gastrointestinal distress in rare cases. As stated on the Nature's Logic website, the high nutritional content of their food means that a much slower transition must be made when switching to Nature's Logic. This could potentially explain the negative reviews of this product. Overall, however, the reviews were overwhelmingly positive.